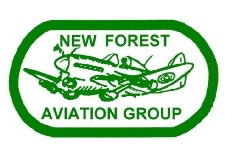 "In 1910, the sleepy village of East Boldre was awestruck by the arrival of a fleet of flying machines and the New Forest School of Aviation, one of the first flying schools in the world. By 1915, the Royal Flying Corps arrived, the personnel soon outnumbering the villagers by three to one. They cleared the heathland, erected massive buildings, flew their machines into trees, knocked off chimney pots and even landed on the Post Office roof." From Forest Field to Western Front is priced at £15. Meet the authors at a book fair and signing on Saturday 4 March from 10.00 am - 4:00 pm at the Lyndhurst Community Centre. For more details of where to buy the book, see www.eastboldre.org, or e-mail web.manager@eastboldre.org. It can also be ordered from Gina and Steve Antczak on 01590 626368 or Tony Johnson on 01590 623827. 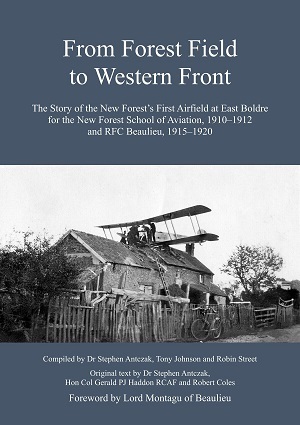 All profits from the sale of this book are used to support East Boldre Village Hall which was built as the RFC Beaulieu Officers’ Mess in 1918.